This I think is indicated to treat the allergies and intolerances in dogs of all ages. Indicated for treating allergies nutritional. Indicated to treat food intolerances. 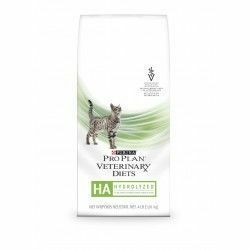 Elimination diet hypoallergenic test diet. Management of food allergy in the long term. Hyperlipidemia, lymphangiectasia, malabsorption, protein-losing enteropathy. A single source of hydrolyzed protein with a low molecular weight, which prevents an allergic response. Source of starch is purified and sucrose, which reduces the antigenicity of the diet. Omega 3 fatty acids and increased that help to enhance the process of natural anti-inflammatory. Corn starch, soy protein hydrolyzed, minerals, coconut oil, sugar, rapeseed oil, soybean oil, fish oil. Moisture 7,5%, crude protein 21%, crude fat 9%, medium-chain fatty Acids 1.3%, Carbohydrate 55%, crude Fibre 2%, Zinc, vitamin A, Vitamin E·, metabolizable Energy. 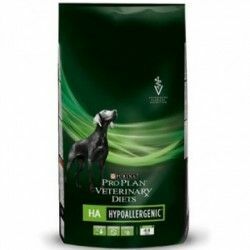 Description: This I think is indicated to treat the allergies and intolerances in dogs of all ages. Indications: Indicated for treating allergies nutritional. Indicated to treat food intolerances.